Es Pablo Bernasconi, nacio en Buenos Aires, Argentina y es muy creativo! El es diseñador gráfico de profesion y sus ilustraciones han sido publicadas en varias publicaciones internacionales. 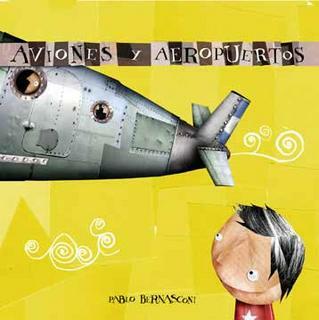 Durante el 2004 publicó 3 libros infantiles escritos e ilustrados por él y ha recibido varios premios. Sus personajes son multicolores y con texturas maravillosas! No se pierdan su trabajo es de lo mejor! 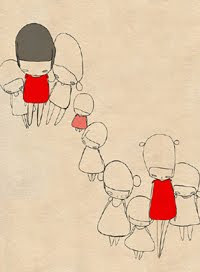 He is Pablo Bernasconi, he was born in Buenos Aires, Argentina and is very creative! he studied to be a Graphic Designer and his illustrations have been published by many newspapers and magazines around the world. In 2004 he published 3 childen books which were both written and illustrated by him. His work has received several awards. His characters are very colorful and they have a very nice texture! Do not miss his work, is great!